We recently spending an afternoon cleaning out our pantry and I stumbled upon a few cans of pumpkin that had been sitting pretty since last fall. I’m a firm believer that pumpkin tastes good any time of year and after some quick googling, decided to whip up a batch of flourless pumpkin brownies. I’ve actually been a fan of flourless desserts for quite some time now but for whatever reason never make them. I think my appreciation for the flour-free dessert stems back to when one of my former employers took our staff to a cooking school for a team bonding activity. We were broken up into teams, and then in true Iron Chef fashion had to create a variety of dishes using a secret ingredient. We were then judged and could enjoy our dishes as our dinner. Of course for this challenge the secret ingredient was corn, so I couldn’t eat really any of the dishes with the exception of a flourless chocolate cake that was made for dessert. So while the rest of my team chowed down on corn-studded guacamole, I enjoyed a dinner of flourless chocolate cake which was oh so delicious. But back to these brownies. 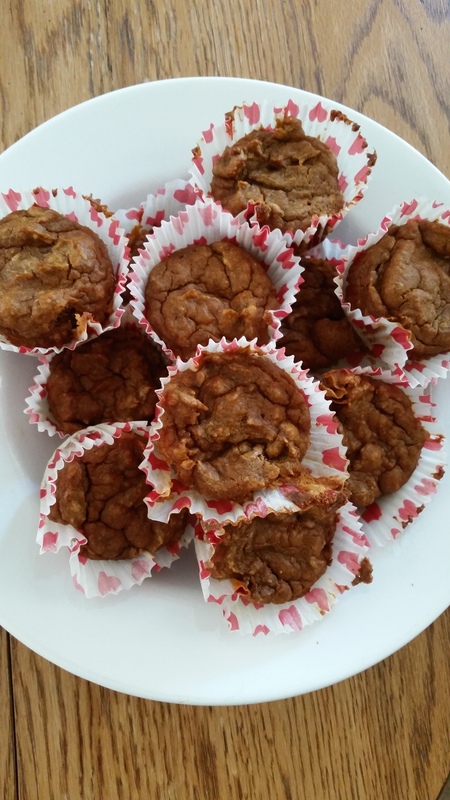 They are made with pumpkin, egg, cocoa powder and almond butter which adds a nice flavor. The original recipe called for unsweetened cocoa powder and agave syrup, but I had neither so I used semisweet cocoa powder instead. The Englishman and I enjoyed these as a Sunday night treat while watching Nik Wallenda walk across the Grand Canyon on a wire. Did anyone else see that? So stressful. Thank god we had brownies to comfort us. These brownies are a perfect treat when your sweet tooth strikes but you don’t want to go too overboard. Of course, if you made these into a brownie sundae, I wouldn’t object. Preheat your oven to 325 degrees F. In a large mixing bowl add your pumpkin, egg whites, cocoa powder, almond butter, vanilla and baking soda. Mix until well-blended. Pour your batter into a greased brownie pan and top with chocolate chips. Because this is a flourless mixture, the batter will be much thinner than traditional brownie batter. Bake in the oven for 30-40 minutes. Remove from oven and let the brownies cool for 15 minutes before cutting into slices (I didn’t wait long enough for mine). The brownies will be light and gooey and delicious! 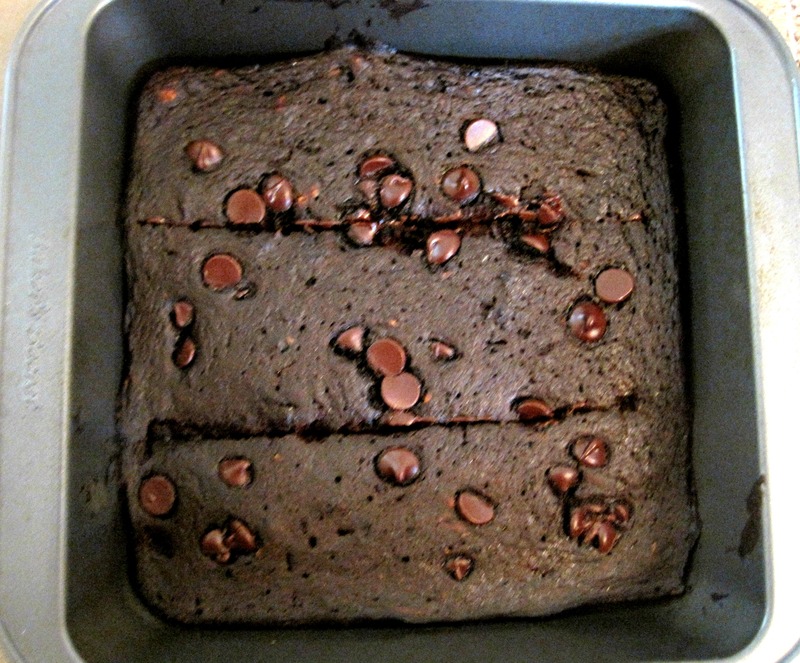 This entry was posted in Baking, Dessert, Gluten-Free and tagged healthy dessert, paleo, pumpkin on June 27, 2013 by allie@sweetpotatobites. If you recall this post from a few weeks back, I alluded to the fact that the Englishman and I were moving this fall. Well, we ended up closing escrow on our condo a couple of weeks ago and this weekend moved in to our new digs in Costa Mesa. 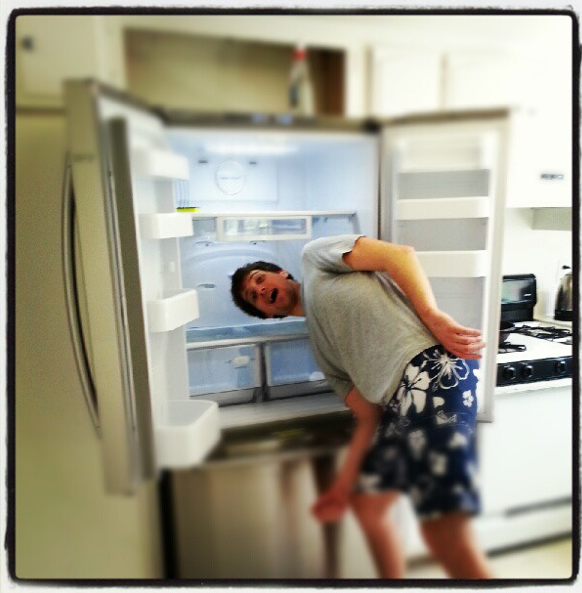 Our weekend was spent doing “grown-up” things like buying a new bed and bedding, cleaning the condo from top to bottom, and having our massive space-age looking fridge delivered. Our internet doesn’t get installed until Tuesday, and since I am tethering via a slow iphone connection, I’ll keep it short and sweet and leave you with my latest Trader Joe’s discovery – Pumpkin Spice Tea! Yes, pumpkin season is in full swing in SoCal and I am loving every minute of it. 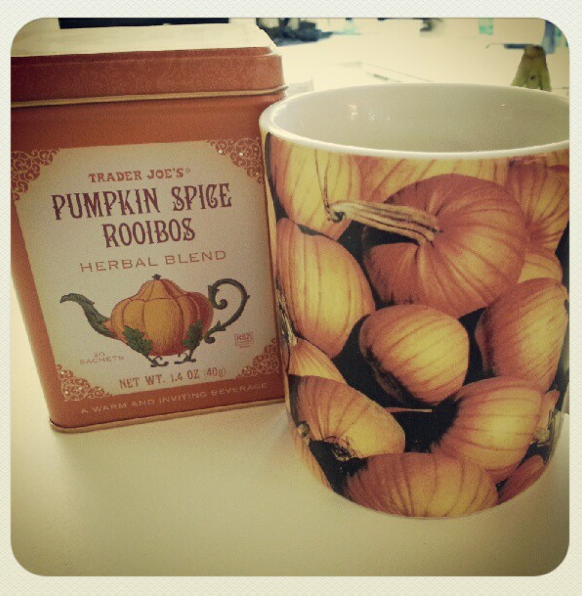 Pumpkin tea, pumpkin butter, pumpkin beer, pumpkin bread…bring it on. 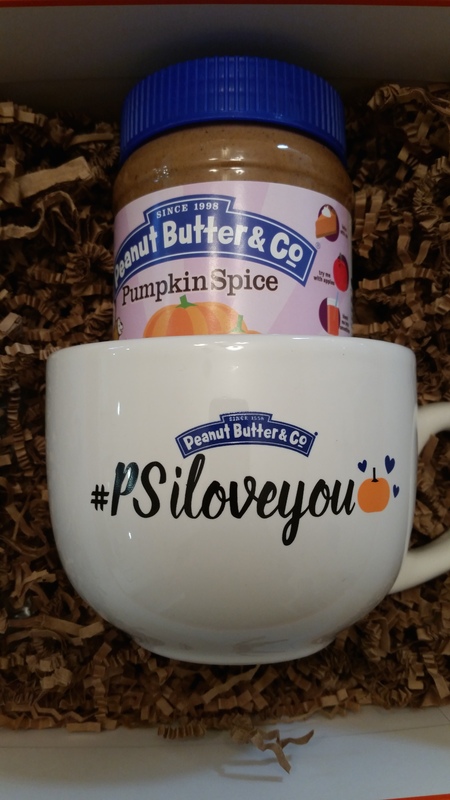 This entry was posted in Life and tagged fall, moving, october, pumpkin, pumpkin tea, trader joes on September 30, 2012 by allie@sweetpotatobites. I have never done a day of eats post so this Sunday I thought I’d give it a whirl. Also, apologies for the infrequent blogging as of late, but the Englishman and I are in the process of moving to our new condo! I hope to be blogging more frequently starting in October. Breakfast was filling so I only really had a snack around lunch in between packing and cleaning. 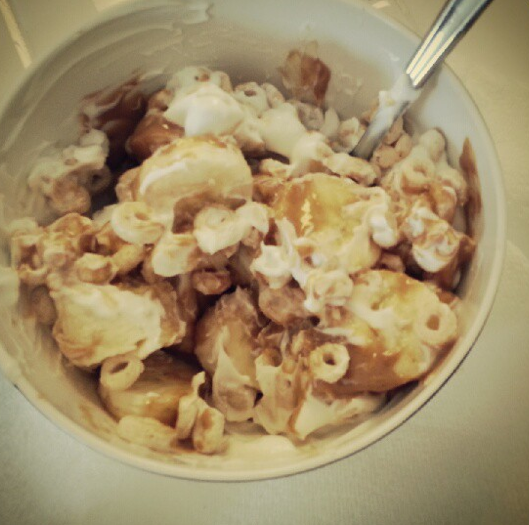 Yogurt, cereal, banana and peanut butter. Looks gross, tastes amazing. 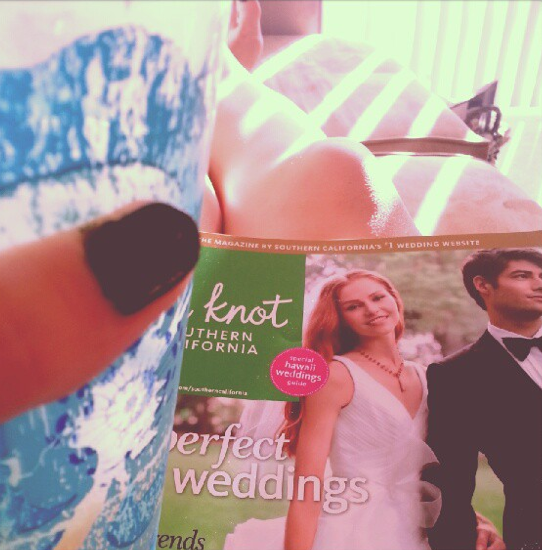 Mid-Afternoon drink break of sparkling water and grape juice with a little wedding magazine reading on the side. 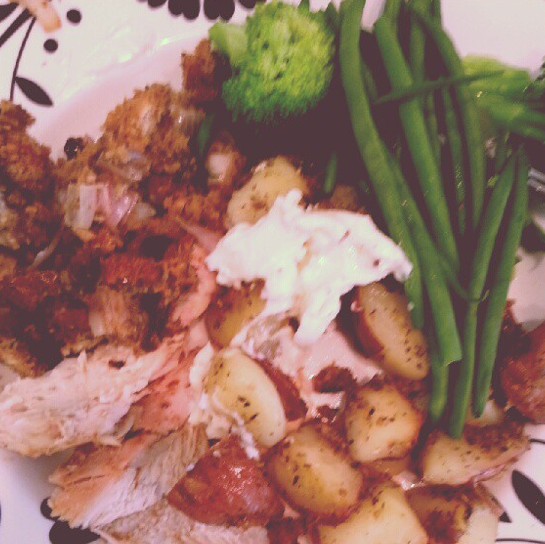 Roast chicken dinner complete with stuffing, potatoes and vegetables. It may not feel like fall yet, but we are having fall inspired dinners. 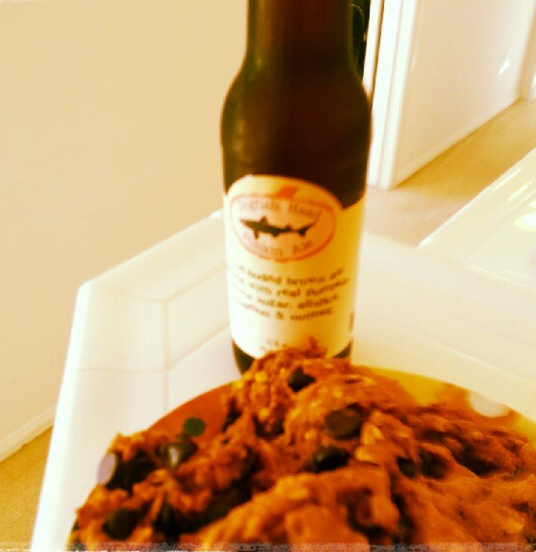 Homemade pumpkin cookies for dessert (pumpkin beer was consumed earlier this weekend). 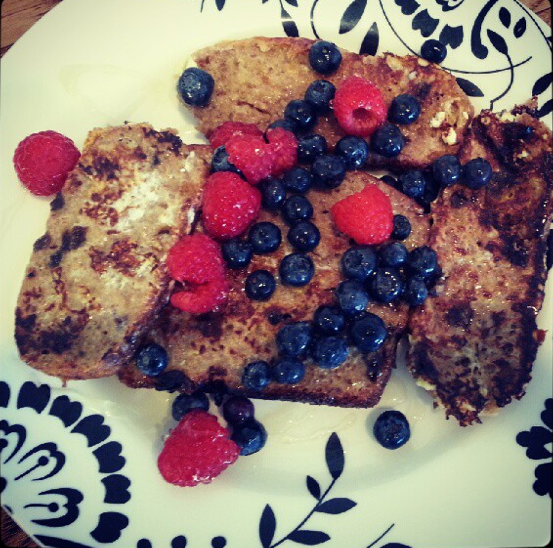 I used this recipe with a few modifications, and they came out delicious! This entry was posted in Life, Uncategorized and tagged fall, food, pumpkin, roast chicken, sunday snapshots on September 16, 2012 by allie@sweetpotatobites.